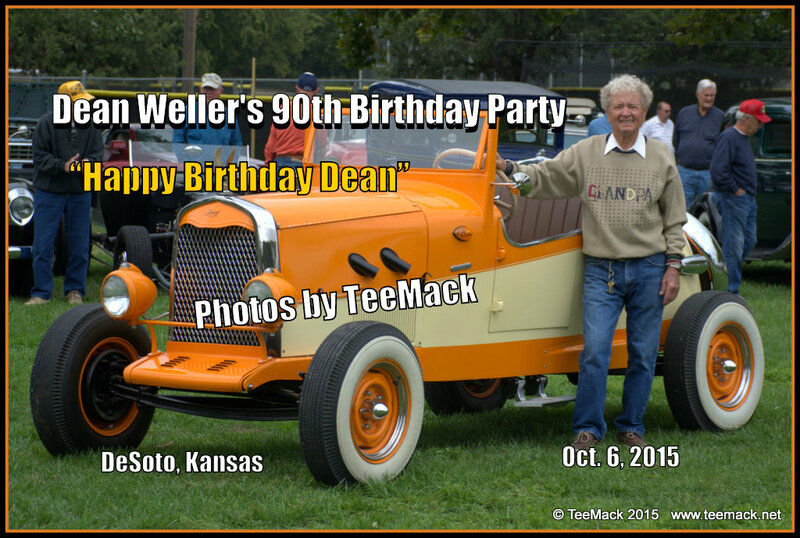 Dean Weller, long time resident of DeSoto, Kansas, celebrated his 90th Birthday with few of his long time friends. The Birthday party included his friends bringing there classic cars to the celebration. The Birthday party was held at Miller Park in DeSoto. Dean works at his Garage, Gandpa's Old Ford Garage in DeSoto, Kansas. He has been building Model A Ford for over 30 years. His craftsmanship and fabrication of parts is truly unique. 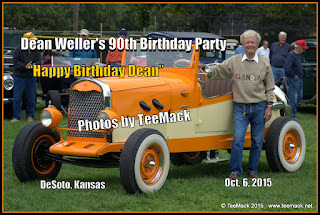 Happy Birthday Dean Weller. Click here to view photos of the Birthday Park for Dean.